What’s in the perfect Christmas chocolate tin? There really are fewer of your favourite chocolates in tubs of Quality Street, Heroes, Celebrations and Roses, according to our latest research. If you’ve ever wondered why the particular chocolate you had your eye on has always run out by the time you get to the tin, it might be time to stop blaming your family. In October 2018, we asked more than 1,000 Which? members to choose their favourite Quality Street, Roses, Celebrations and Heroes chocolates. Then we counted the number of chocolates in each tub and calculated the average distribution of each assortment box. Next, we used our ‘favourites’ list to determine the ideal tub ratio for each tin. Statistically speaking, these hypothetical tins would please a Christmas crowd. 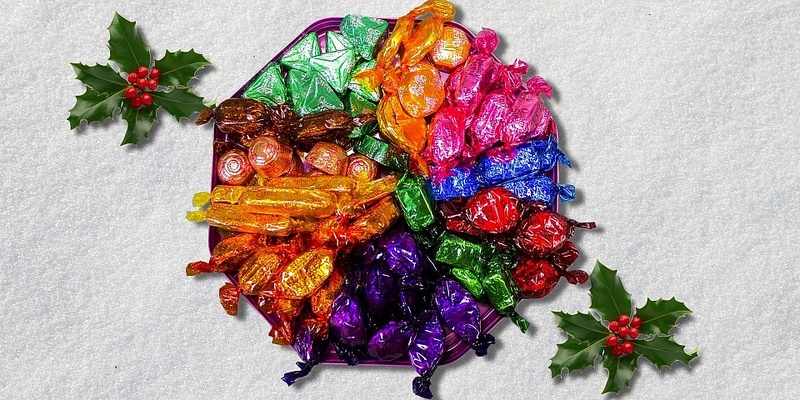 The Purple One (hazelnut and caramel) came top of the Quality Street ranking – it’s the favourite of 26% of Quality Street-eating Which? members. But on average there are only five among the 74 chocolates in a standard 720g tub. The less-loved Strawberry Delight (chocolate with a strawberry fondant filling) is rated a middling seventh of the 12 in the tin, but it’s the one you’ll get the most of – around 10 each time. The perfect tub would have 11 Purple Ones and 10 Green Triangles. There’d be five Strawberry Delights, four each of less popular sweets, like the Coconut Eclair, and only three Orange Crunches. Why are there fewer of your favourites? Nestlé told us that while it does take people’s preferences into consideration, it balances out the tubs by categorising the components into three types (fruit crèmes, chocolates and caramel/fudges), which each make up a third of the total. That’s why there are more Strawberry Delights than Purple Ones – the Purple One is one member of a larger chocolate category, while the Strawberry Delight is one of just two fruit crèmes. Cadbury’s Roses: Where are all the Hazelnuts in Caramel? ‘Hazelnut in Caramel’ is by far the most popular Roses chocolate, chosen by 30% of Which? members. But with just five in a tub, they’ll run out fast. You’re much more likely to end up with a lesser rated Golden Barrel (caramel-filled chocolate) or a Country Fudge. The ideal tub of Roses would contain 11 Hazelnuts in Caramel, eight Dairy Milk Chunks, and just three of the less popular Strawberry Dreams. Cadbury’s told us that its team handpicks and reviews the chocolates in Roses so that customers have an assortment of the chocolate they love, aiming for tubs that provide a variety that suits all tastes. Yet there can be minor deviations in the mix due to manufacturing processes. In one of the first Christmas chocolate-related scandals of the year, many Celebrations fans took to Twitter in outrage when they discovered a Bounty behind the first door of the Celebrations 2018 advent calendar. But in fact, the controversial coconut confection is the second most popular among Which? members. 29% voted it one of their favourite Celebrations. The top-rated choc was the Malteser Teaser, chosen by 34% of Which? Members. Thankfully for both sides of the chocolate divide, you’re just as likely to get a Bounty as you are a Malteser – there are an average 10 of each in a 660g tub of 72 chocolates. It’s also good news for Galaxy and Galaxy Caramel fans, as these are just as common. Mars bar fans lose out – despite being fourth most popular, there’s only an average of seven in each tub. Based on our results, the perfect tub would contain 13 Malteser Teasers, 11 Bountys and only five Milky Ways. According to Mars, its random mix makes Celebrations perfect for sharing. It has undertaken its own research and found, as we did, that Malteser Teasers are the most popular in the box. The best-rated Heroes chocolates are Wispa and Twirl. Respectively, 30% and 29% of Which? members picked these among their favourites. You’ll have to be quick to nab a Twirl, though, as there are only six in the average 660g tub of 71 chocolates. There are an average nine Wispas. Of all the chocolate selection boxes we studied, we found the Heroes to be the most equally weighted. Yet there were still more Eclairs and Fudges than anything else, with 12 each per tub. Eclairs were the least popular, with a meagre 12% in our poll. It’s no wonder there always seem to be so many leftover. The ideal tin of Heroes would contain 12 Wispas and 12 Twirls, with just five Eclairs. As with the Roses, Cadbury’s told us that its team handpicks and reviews Heroes chocolates so that customers have an assortment of the chocolate they love, aiming for tubs that provide a variety that suits all tastes. Yet there can be minor deviations in the mix due to manufacturing processes. Which chocolate selection tub is your favourite?